FORTY-TWO new youth tennis courts have arrived in Rockingham County! 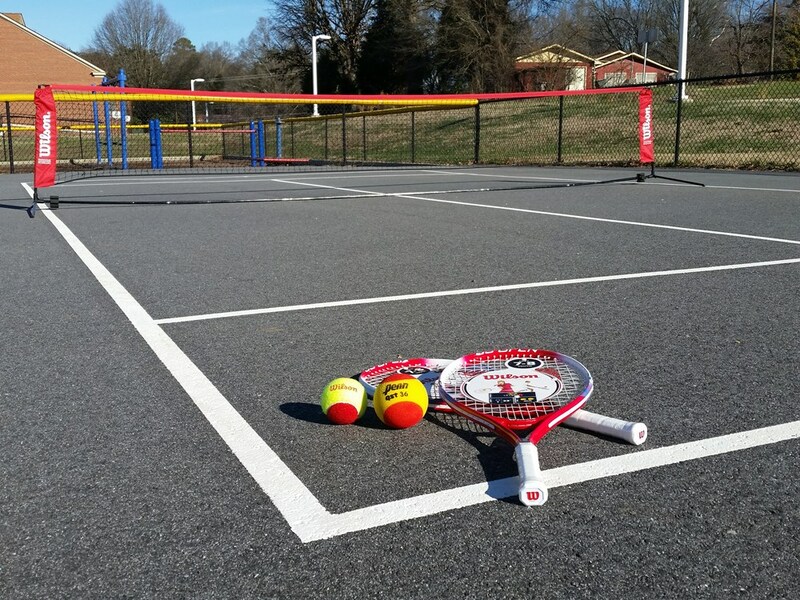 Thanks to a free USTA Line Grant, FORTY-TWO new youth tennis courts (18x36 feet) were painted on blacktops and playgrounds across Rockingham County in December. These join the youth tennis courts at Williamsburg Elementary School, Reidsille (4 courts) and the Eden Family YMCA (3 courts). to bring our total to 49! Check out photos of each location in our Photo Gallery. Get Fit, Have Fun, Make New Friends and PLAY MORE TENNIS Rockingham County. Find a court near you!